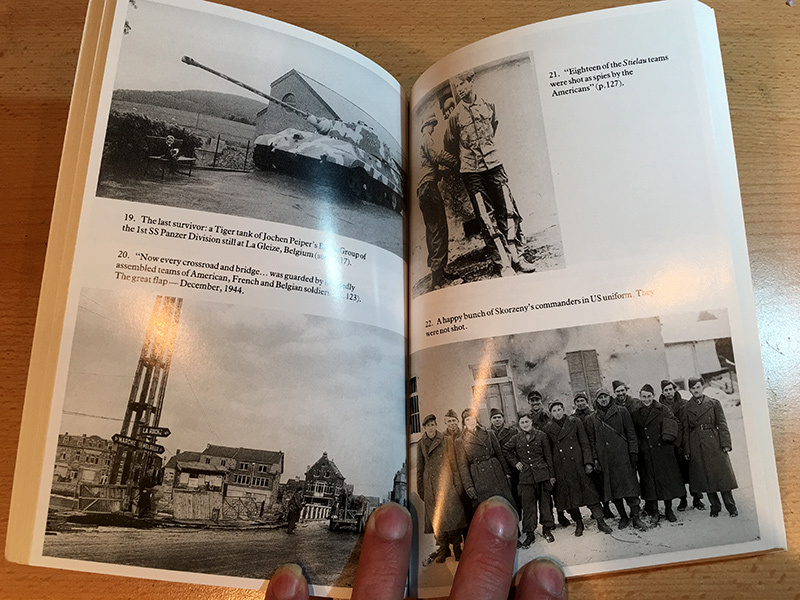 Every few months I take a walk int town on my lunch break and peruse the military history section of the second hand books in our independent book shop, David’s. I came away today with a couple of additions, one to my true crime reference section and this one for my military history. 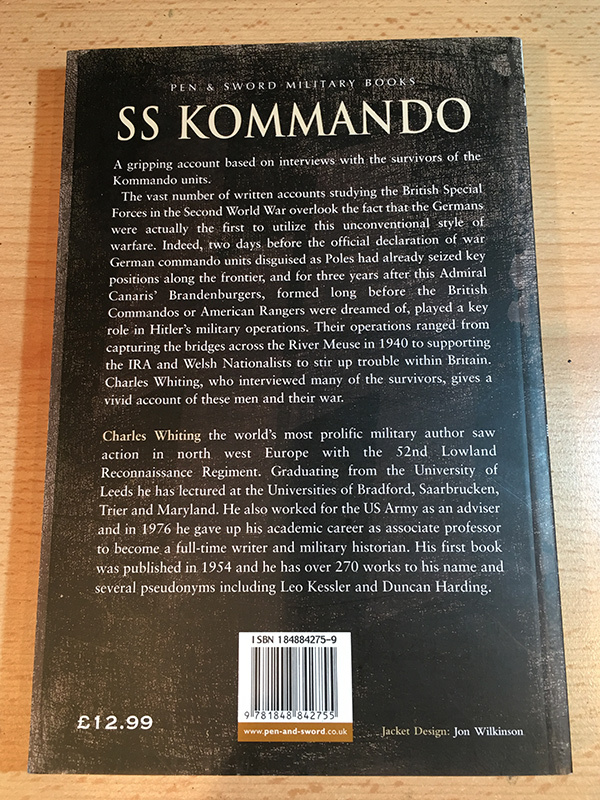 SS Kommando tells the story, through interviews of survivors, of what we might call German ‘Special Forces’ during World War II. It points out that the Germans were the first to form special forces with German commando units in Poland at the very start of the war. 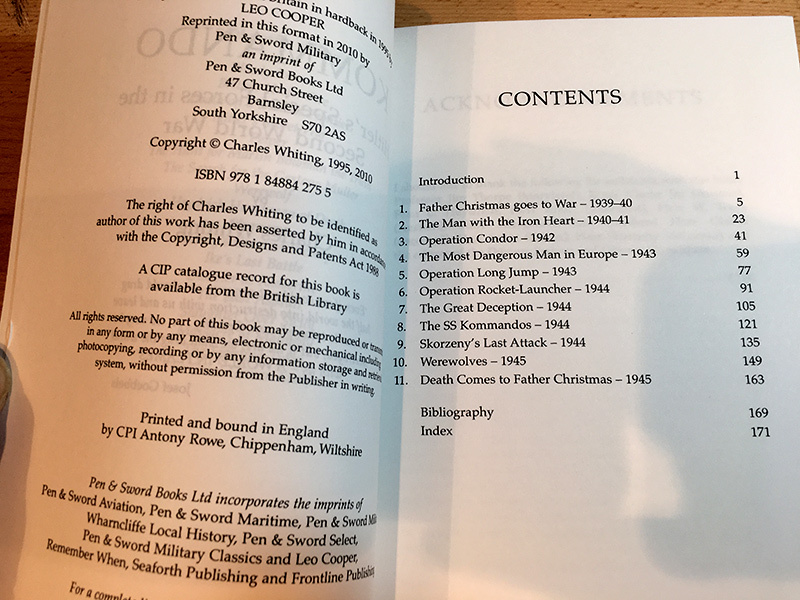 It contains info on the Brandenburgers, one of the more well known special forces unit. 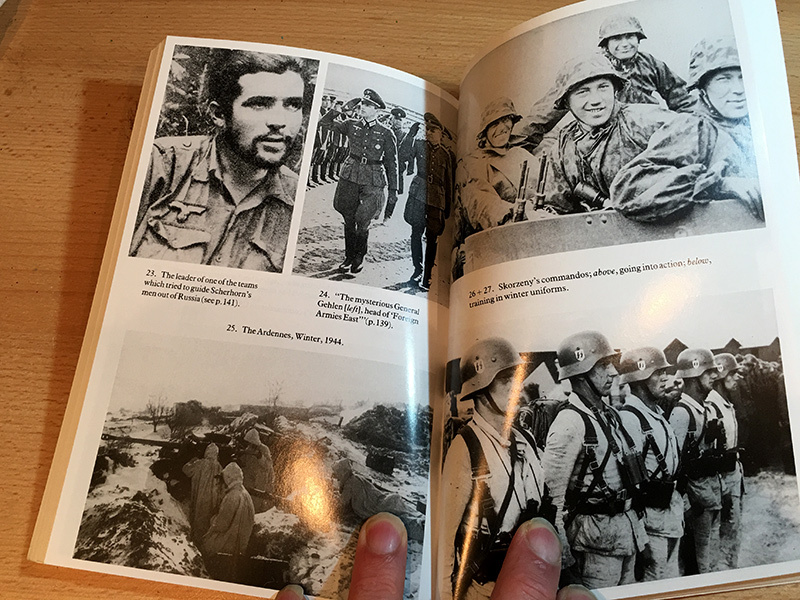 The book is manly text but contains 16 pages of black and white images. The copy I got is in absolute mint condition; it still contains the postcard you often get from the publisher advertising other books. I doubt the book has ever been read. 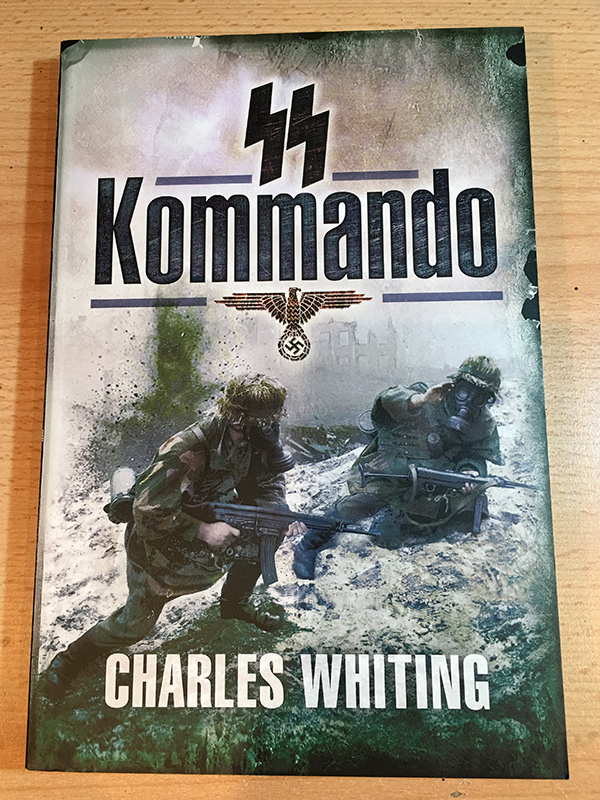 The author, Charles Whiting, has published over 350 books and wrote the Leo Kessler series of German WWII fiction much loved by me when I was a teenager.